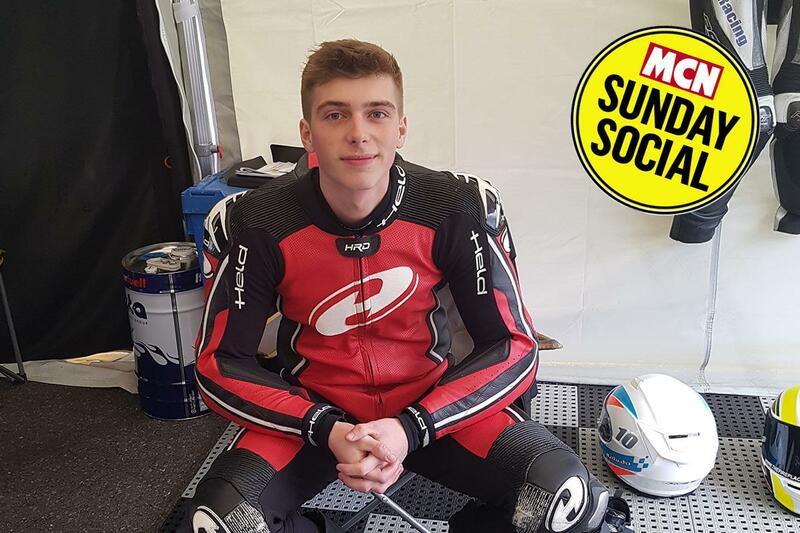 For this week's Sunday Social we caught up with 18-year-old British Superstock 600 racer Joe Sheldon-Shaw to talk about the future of Supersport racing in the UK and his transition from motocross to short circuit racing. You’ve had a pretty good season so far? Yeah it’s been going a lot better than last year which is all down to the change of bike, really. The Kawasaki seems to suit my riding a lot better and my worst result has been a tenth. 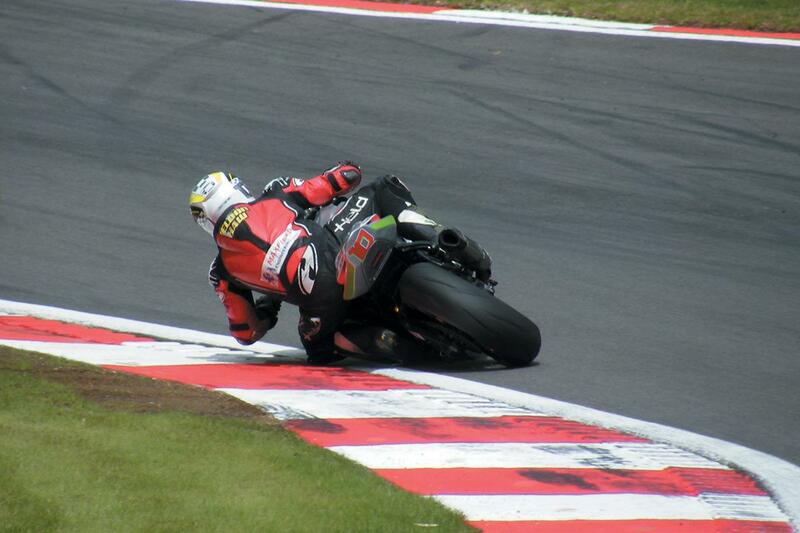 I got a fifth at Oulton, which was good. So yeah, it’s not going too bad. Have you got any plans sorted for next year yet? I want to stick with the same class on the same bike for next year. I want to have a chance of winning or finishing in the top three of the championship which would be a good achievement for me and get my name recognised a lot more. You’ve got plenty of time, you’re only young! Yeah, I’m only 18 so I’ve got a lot of time in that class yet. I think the age limit is still 25. Has there been any interest from bigger teams? There’s a lot of people watching me saying I could do a lot of things but to go with a big team you need a big budget and I don’t really have that. It’s been quite a quick rise for you, it was only 2014 you were the Thundersport Formula 400 champion? Yeah, this is my fifth year of road racing now so I came into it quite late but I’ve been riding bikes since I was two. Like you say in 2014 I won the Formula 40 championship and then from there I moved upto 600s in Thundersport but I had a big accident and sat the rest of that year out. So my first full year was 2016. And what made you decide to make the jump from Thundersport? 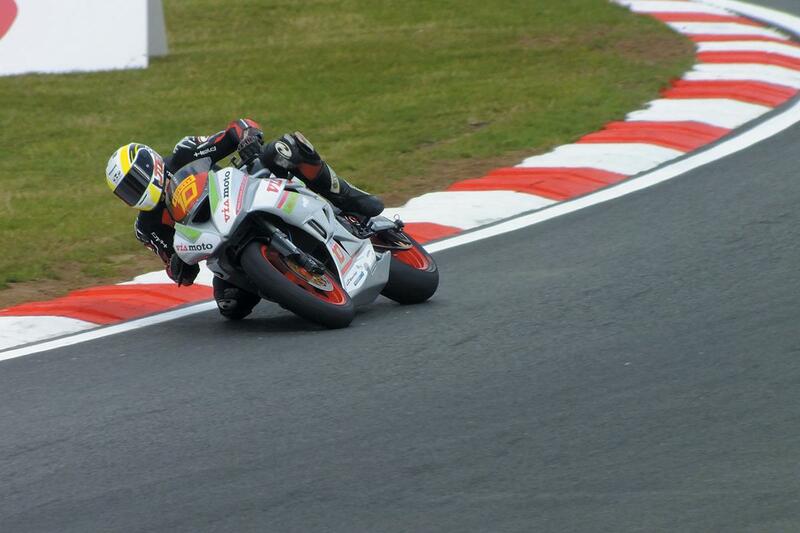 Thundersport is a great club but BSB is where I’ve always wanted to be. I wanted to ride in what was then the 125cc class but I never got round to it so I thought if I just made a big jump and started from the back and worked my way up, riding with better riders would make me faster, quicker. Are there other differences apart from the riders being faster? The way it’s run is a lot different but really it’s just the faster riders, which has made me faster and having a good bike under me as well. You said you started riding when you were two-years-old, so was that something like a PW50? I can’t really remember my first bike, I think it was a little 50cc Honda and I rode motocross bikes upto the age of about 10 or 11, which is when I jumped on to an Aprilia Superteen in Thundersport, and that was really the first road bike that I ever rode. Why did you make the jump from motocross to tarmac? My dad used to race in the New Era championship. I can’t remember what year that was but it must have been some time ago! He started quite late too at the age of 40 but he won some championships then moved into Thundersport. He had a big accident and broke his pelvis and that was around the time I became eligible to ride in Superteens so I thought I’d give it a go and it just took off from there, really. My dad stopped and I started. And how did you find the transition from motocross? It was tough at first, it was so much faster and the bike wasn’t moving around underneath me as much which was strange at first. The first year in Superteens was really tough, but I think in my second year I got a best result of sixth at Brands Hatch but I didn’t finish my second year as I moved to Formula 400 half way through the year. Did you find our motocross background helped at all? Maybe in the wet or at bumpier tracks? Yea definitely like you say in the wet and at bumpier tracks because I don’t mind the bike moving around under me. Even today it still helps me, as soon as it rains I know I’m going to be up the front. Did you ever look at supermoto since it’s a mixture of the two sports? I did, and in the off season now we ride Honda CRF150s with supermoto tyres on at go kart tracks. We don’t race but I ride with Richard Cooper, Sam and Alex Lowes, Leon Haslam and his dad. So we’re all out on them but I haven’t found the time to race them yet. It keeps you sharp over winter and riding with the BSB lads you learn a bit as well and it keeps your aggression up so you don’t get a shock when you come back to it in summer. What have you learnt from pit bike training? My overtaking needed some work and I’ve been watching how they overtake so aggressively and they just seem to be able to make the pass when and where they want and I’ve learnt to do that a lot better, obviously not as good as they can do it but it’s not too far off now. Do you do anything else over winter? I’m in the gym all the time over winter, every single day after work. It’s about two miles from my house so I’ll go there every night and do weight training, cardio. If I didn’t work here (Via Moto) I’d be a personal trainer I think as I love it. You’re not into cycling then like some racers then? Not so much, I prefer to be on the treadmill or doing weights. Do you think you’ll move up to Supersport next or perhaps move up to a 1000cc bike? There’s a few options. I could go to Superstock 1000, it’s got so much pedigree in the class, you know, like Michael Rutter, but I would like to stay on a 600 so whether it’s in Supersport I’m not sure yet. Definitely Supersport of Stock 1000. We’ll have to wait and see. Are you keen to stay in the UK? Yeah, I’d like to stay in BSB but if some doors open for me to go into some European classes then that’s where I would go given the opportunity. How’s day-to-day life at Via Moto? I’m actually at the Honda shop in Chesterfield at the minute, but I work at all three of our branches as and when they need me but I'm based in Sheffield. This is coming onto my second year now and I’ve got two years of my apprenticeship left. I’m loving it, there’s nothing more that I would want to be doing other than just working on bikes all day, to be honest. It’s a perfect job. Are you able to work on your race bike if needs be? Yeah, if there’s time and if it really needs it but my dad looks after the race bike mostly. If there’s anything I can do in my break then I’ll do that. Have you ever ridden on the road? I’ve not got a bike licence, only a car licence. That’s just down to it being safer really, there’s so many people out on the road that have crashes so I’d rather keep my fast riding to the track. You’re not going to take your test then? No, I don’t plan on it. It doesn’t really appeal to me. Where do you want to end up in your career? There’s two routes, really. 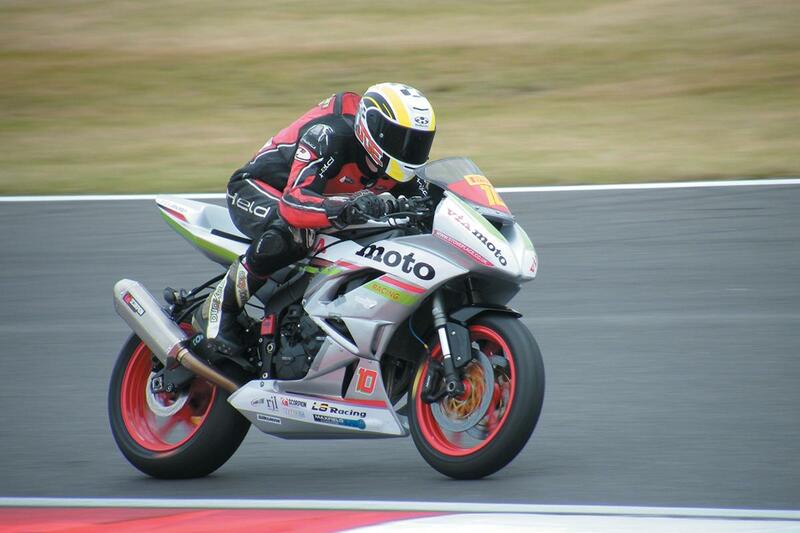 I either want to make it in to BSB or I’d like to go to World Supersport and see where it could go from there. My aim is to do World Supersport but there are other routes that could take me through to BSB as well. What do you think about the future of the Supersport class, with supersport bikes not selling well? I think British Supersport is in its last year this year, I think they’re going to something more like Moto2 next year. I hope they don’t get rid of 600s because I love them and they’re such good bikes but also for younger riders coming up from Moto3, going from a 250cc to a 1000cc, if they get rid of Supersport, it is a really big jump and Supersport is such a good competitive class it would be a shame if they got rid of it. What would you like to see Supersport replaced with if anything? I’d like to see it go the same way as MotoGP. They already have a Moto3 class so I think a Moto2 class would make sense. The public might not like that, though. How would that affect cost, I imagine it would be a bit more expensive? Yeah, it would be a lot more expensive than doing the Stock class, but it probably takes similar money to run in Supersport as it would in Moto2 because they’re so highly tuned. Supersport isn’t cheap at all and I can’t see there being a huge difference between that and Moto2. How much are you looking at to compete in Supersport? Well, from what I’ve heard you’re looking at £60,000 for the year to pay the team. That’s just paying into the team and I think that covers most of it like crash damage. It’s expensive. 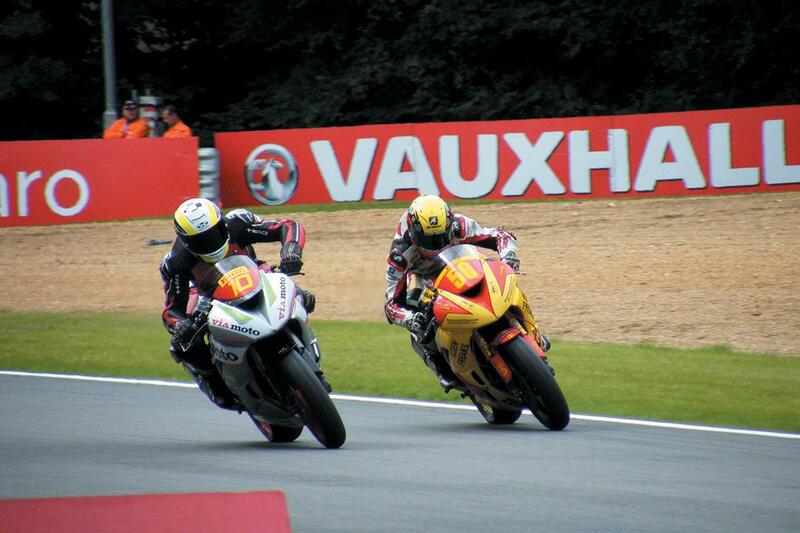 I know for us in Superstock 600 the tyre bill for the year is £10,000. How many tyres is that? Three sets over the weekend, quite a lot. That’s why you need as much help as you can get. I imagine fuel is a big cost as well each round? I think it is, this sounds bad, but I don’t personally know because I don’t buy it. It gets fuelled up every time we go out but I can’t remember how many litres my dad puts in for a race. Most of the time when I come in if I’m not first I’m not happy so I don’t pay that much attention to fuel, I’m just thinking of ways to go faster. Are you looking forward to the next round at Thruxton? It’s a track that suits me quite well. Yeah, it’s very, very bumpy, very fast. I went well there last year but that was my first time there. With a little more experience now I’m hoping for another top 10 finish. I just need to get away with the front boys. I know I can go with them, at Brands Hatch I was lapping the same as the guy in third place but I just didn’t get away with the group. You could be on for a podium this year, then? Yeah, I’m definitely hoping for a podium this year.